Ideal for transporting food from one to location to another such as a hospital or care home. 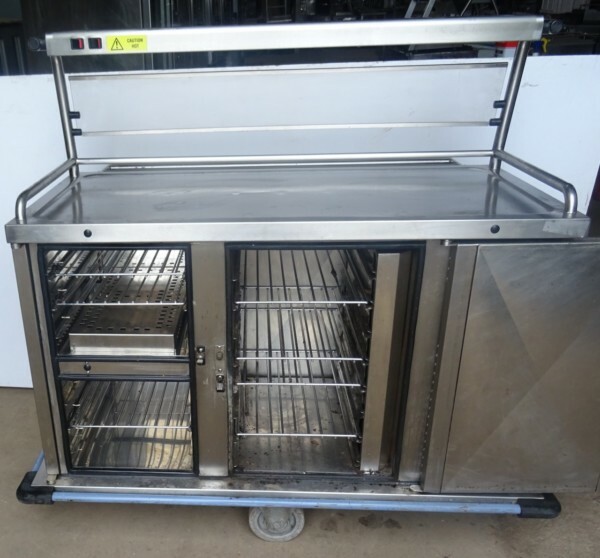 This is a gastronorm compatible regeneration trolley on locking wheels. 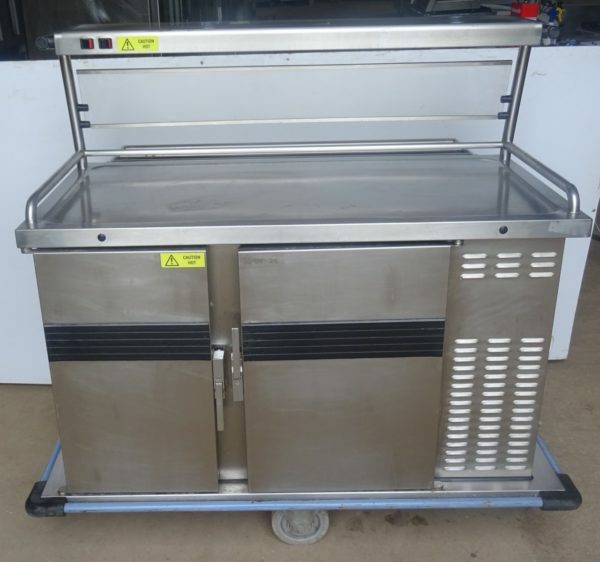 Food can be either transported chilled then reheated or hot food held at a desired temperature until service. 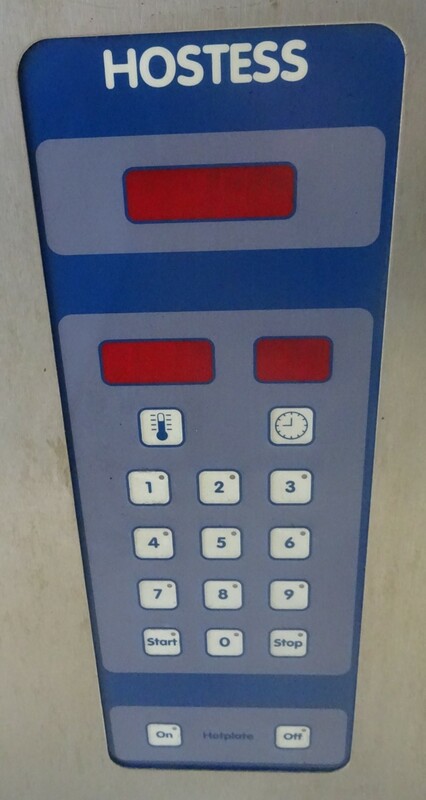 Being ‘pass-through’ means servuce staff can access contents from both sides. 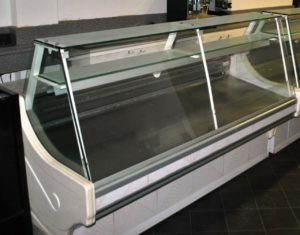 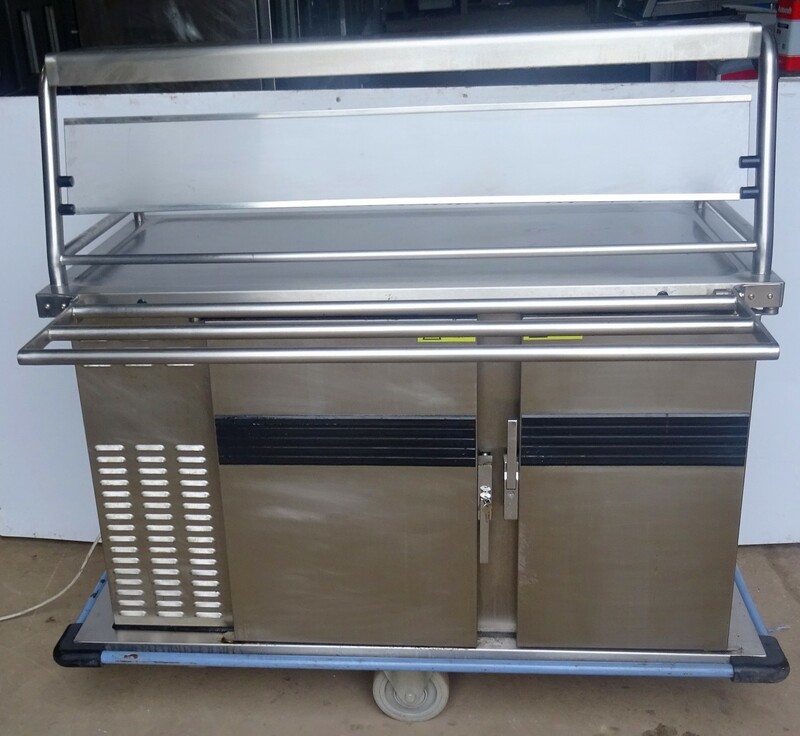 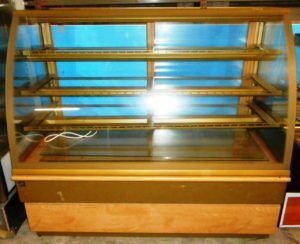 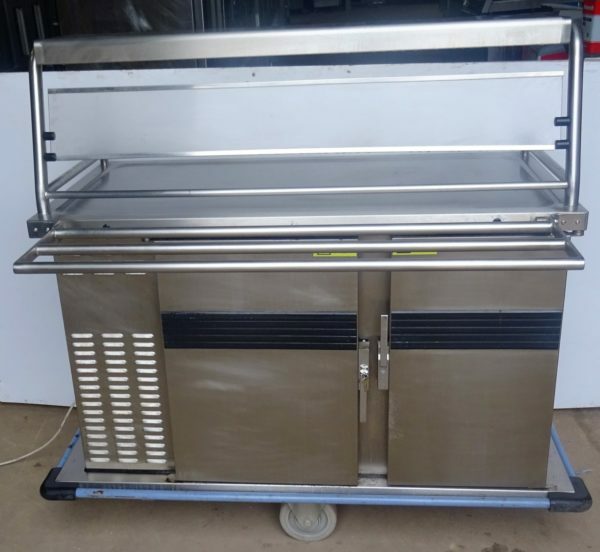 With a heated surface and overhead heated gantry ensuring food stays hot until required.